As we continue to expand our technological horizons by making anything that we can to be smart, the importance of embedded systems is becoming more apparent and many programmers are beginning to concentrate on IoT projects and there is no better time than now for you to start building your embedded systems programming-related skills and you need to know the most appropriate languages to use. 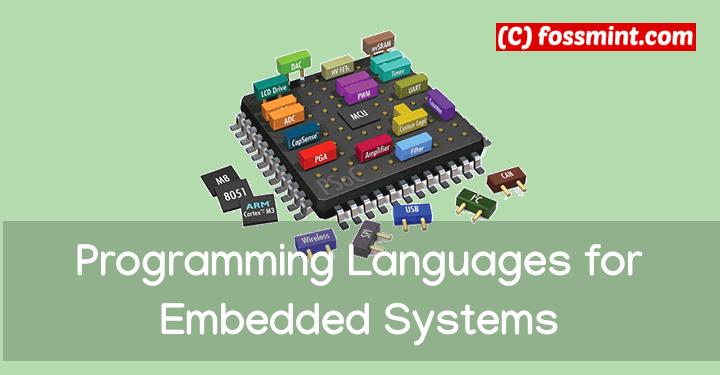 Embedded systems programming languages are different from others in the sense that they are perfect for low-level system access and require relatively fewer resources than others. So, without further ado, here’s a list of the best programming languages for embedded systems. In addition to supporting Windows, Radiant Software 1.1 adds support for the popular Ubuntu LTS 16.4 distribution of Linux. Radiant Software 1.1 is now available for download from Lattices website and currently can be used with a free license. ASRock announced four products based on Intel’s 8th Gen Whiskey Lake-U: a thin Mini-ITX “IMB-1216” board, a 3.5-inch “SBC-350,” and a NUC 4×4 form-factor “iBox-8365U” mini-PC and NUC-8365U mainboard. ASRock Industrial has been busy lately tapping the latest embedded-oriented x86 chips in products such as the Intel 8th Gen Whiskey Lake-U based iBox-8265U mini-PC, as well as the iBox-R1000 industrial PC and NUC-R1000 mainboard built around the AMD Ryzen Embedded R1000. Now it has announced four more Whiskey Lake-U products aimed at the embedded market. 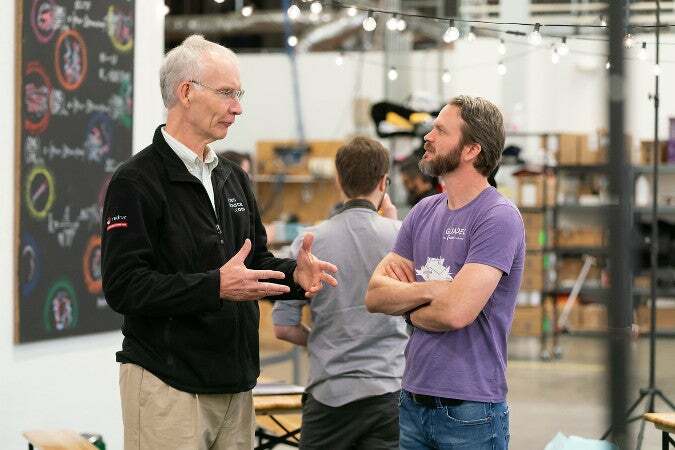 Even the Linux Foundation, home of the Linux kernel, hosts a project called Zephyr, which is an RTOS designed for use-cases, beyond the reach of Linux. Applause broke out from the crowd at GTC 2019 when NVIDIA showcased a modded version of Quake II with overhauled graphics featuring real-time ray tracing and HDR visuals. Quake II RTX, as it is called, looks almost like a completely different game than the original version that launched over two decades ago. It was an impressive demo for sure, but NVIDIA has bigger plans for the mod. "Our goal is to publish an open source version of Quake II RTX," Principal DevTech Engineer and Quake II RTX's lead programmer, Alexey Panteleev, told AusGamers in an interview. Last month, during GDC 2019, NVIDIA showed an impressive Quake II RTX demo, which showed how ray tracing can improve even old games, and it seems like players will soon be able to experience it for themselves. Speaking with Aus Gamers, Alexey Panteleev, the lead programmer of the Quake II RTX demo, confirmed that an open source version of it will be released in the future. The NVIDIA 418.52.05 beta driver released on Friday now officially supports the company's Vulkan ray-tracing extension going back to GeForce GTX 1000 "Pascal" graphics cards. The line-up going back to the GeForce GTX 1060, including the Volta-based Titan V and Turing GTX 1600 series now has the ability to utilize Vulkan-powered ray-tracing. This is nice for developers though for Linux end-users/gamers there isn't any significant available yet utilizing Vulkan ray-tracing besides a few code samples and some early engine work for allowing the functionality; most of the ray-tracing activity has been on the Windows side and focused on DirectX 12, but hopefully that will change. In our last blogpost NVIDIA Jetson Nano Developer Kit - Introduction we digged into the brand-new NVIDIA Jetson Nano Developer Kit and we did found out, that Docker 18.06.1-CE is already pre-installed on this great ARM board. Linux is not only the backbone of the internet and the Android operating system, it is now expanding into domestic appliances, motor vehicles and pretty much anything else that requires a minimal operating system to run dedicated software. The Internet of Things is very much The Internet of Things Powered by Linux. But when Chrysler announced a recall of 1.4 million vehicles back in 2016 after a pair of hackers demonstrated a remote hijack of a Jeep’s digital systems, the risks involved with hacking IoT devices were dramatically illustrated. So what does the rise of Linux and IoT mean for Cybersecurity in the Enterprise? Let’s take a look. ASRock Linux-ready “iBox-R1000” industrial PC and “NUC-R1000” mainboard provide the new AMD Ryzen Embedded R1000 SoC in a 4×4 NUC form-factor with up to 32GB DDR4, 2x GbE, 3x USB 3.1, triple 4K displays, and 2x M.2 slots. In a renewed rivalry with Intel reignited by the success of its Ryzen line of processors, AMD has started to get a bit cheeky with its larger rival. Its latest provocation is the launch (via partner ASRock Industrial) of the first 4×4 (also called 4″x4″) NUC form-factor mini-PC based on an AMD processor. As noted in the Tom’s Hardware story that alerted us to the iBox-R1000 and the board-level NUC-R1000, the NUC label “isn’t technically accurate” since it’s an Intel brand that defines a certain class of mini-PC that uses Intel processors. The ASRock product page notes only Windows 10, support, but the announcement also says it supports Linux kernel 4.18 and above. QNAP® Systems, Inc. today announced that Linux Station is fully integrated with Ubuntu® 18.04 LTS, allowing users to enjoy the brand-new GNOME GUI desktop with higher security and easily install apps (including LibreOffice 6.0, Inkscape, and multimedia applications) from the Software Center. Linux Station provides one-click installation of multiple versions of Ubuntu, and brings a streamlined NAS and Ubuntu PC experience when using an HDMI-equipped QNAP NAS with a keyboard and mouse. Linux Station also supports remote desktop connection with audio output. As QNAP is dedicated to leverage open-source software for a better user experience, Linux Station also adds support for Ubuntu Kylin - the official Chinese version of Ubuntu. Most people know very little about the hardware in their computers. As a long-time Linux user, I've had my share of frustration while getting my wireless cards, video cards, displays, and other hardware working with my chosen distribution. Proprietary hardware often makes it difficult to determine why an Ethernet controller, wireless controller, or mouse performs differently than we expect. As Linux distributions have matured, this has become less of a problem, but we still see some quirks with touchpads and other peripherals, especially when we don't know much—if anything—about our underlying hardware. Companies like System76 aim to take these types of problems out of the Linux user experience. System76 manufactures a line of Linux laptops, desktops, and servers, and even offers its own Linux distro, Pop! OS, as an option for buyers, Recently I had the privilege of visiting System76's plant in Denver for the unveiling of Thelio, its new desktop product line. The Eclipse Foundation released the results from its latest IoT Developer Survey of 1,717 Eclipse developers, finding growing use of Linux (76 percent), Arm (70 percent), and MQTT (42 percent). The results of the Eclipse Foundation’s 2019 IoT Developer Survey are out, this time with a larger 1,717-developer sample compared to only 502 in the 2018 survey. The survey was conducted by the Eclipse IoT Working Group in cooperation with member companies including Bosch Software Innovations, Eurotech, and Red Hat. The Eclipse Foundation’s various social media channels and websites promoted the survey, as did Eclipse IoT member companies. The survey was not limited to embedded developers. Two out of three respondents said their organizations are either deploying Internet of Things solutions now or will do so in the next 18 months. Some projects appear to be longer-range than that considering that 80 percent of respondents said they are active in IoT work. SiFive has launched the S2 Core IP Series at the Linley Spring Processor Conference in Santa Clara. The S2 Core IP Series is a 64-bit addition to SiFive’s 2 Series Core IP and brings advanced features to SiFive’s smallest microcontrollers. The S2 Series further adds to SiFive’s extensive silicon-proven, embedded core IP portfolio. It comprises the 2, 3, 5, and 7 Core IP Series in E (32-bit) and S (64-bit) variants. The Ryzen Embedded R1000 offers the same Zen CPU and Vega GPU cores as the V1000 while providing “3x generational performance improvement per watt” compared to the R-Series Merlin Falcon. The Linux-friendly chips are hardware and software compatible with the V1000. I didn’t monitor the temperature change too closely. It seems the fanless case keeps my CPU at least 10 degrees Celsius cooler than the Intel case. As the Akasa case is entirely metal it’ll ruin the WiFi/Bluetooth reception. The case does have the option to install an external WiFi antenna, but it doesn’t include the proper wire to do that. I’ve bought that from AliExpress for 5.72 EUR. ASRock has unveiled a fanless, Linux-ready “iBox-8265U” mini-PC with Intel’s latest Whiskey Lake CPUs, up to 32GB DDR4, a SATA bay, 2x GbE, 4x USB, triple displays, and extended temp support. ASRock Industrial Computer’s 171.8 x 150 x 71.5mm iBox-8265U is the first 8th Gen Whiskey Lake U-series based mini-PC we’ve seen. Several Whiskey Lake based SBCs have broken cover, however, including Aaeon’s UP Xtreme. The FanlessTech story that alerted us to the product calls it a barebone mini-PC, suggesting that the OS is optional. The product page says it supports Linux 4.6 and Windows 10. Avalue’s Linux-friendly “EMX-KBLU2P” is a thin Mini-ITX board with 6th or 7th Gen Core CPUs, triple displays, 2x GbE, 2x SATA, 2x M.2, 4x USB 3.0, serial and GPIO interfaces, and -20 to 70°C support. Avalue announced a thin Mini-ITX board for signage, PoS, kiosk, AiO PCs, and industrial applications. Like the company’s EMX-SKLUP thin Mini-ITX board, the new EMX-KBLU2P supports Intel’s 6th Gen Skylake Core and Celeron processors, and it can also load 7th Gen Kaby Lake models. Windows 10 and Linux are on tap — the Kaby Lake configurations require higher than Linux kernel 4.7. Looking for a Raspberry Pi alternative? Here are some other single board computers to satisfy your DIY cravings. Raspberry Pi is the most popular single board computer right now. You can use it for your DIY projects or can use it as a cost effective system to learn coding or maybe utilize a media server software on it to stream media at your convenience. You can do a lot of things with Raspberry Pi but it is not the ultimate solution for all kinds of tinkerers. Some might be looking for a cheaper board and some might be on the lookout for a powerful one. Whatever be the case, we do need Raspberry Pi alternatives for a variety of reasons. So, in this article, we will talk about the best ten single board computers that we think are the best Raspberry Pi alternatives.